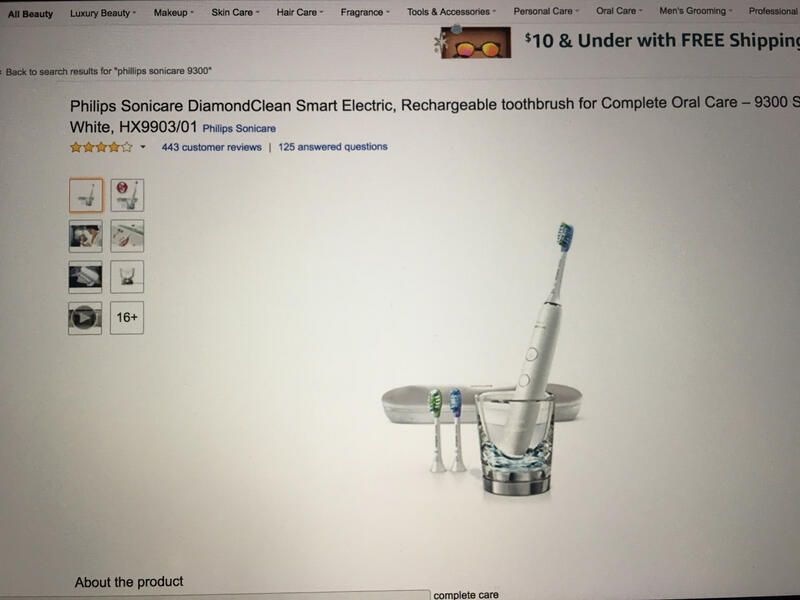 Have you guys heard of the Philips Sonicare DiamondClean Toothbrush Smart 9300 Rechargeable Toothbrush? If not, you are missing out! (And, yes, I really am this excited about a toothbrush because it is THAT cool!). The Sonicare DiamondClean Smart 9500 Rechargeable Toothbrush was named one of Oprah’s Favorite things in 2017, and I had the chance to try a DiamondClean Smart for myself! Oprah doesn’t ever select anything that’s sub par, which means you know that it’s awesome! Not only does it have four high-performance brush heads but it has this really cool thing called Smart Sensor technology that assesses your brushing habits and gives you personalized feedback and coaching about areas you need to focus on and clean better, right on the Sonicare app on your phone! How cool is that?! Who wouldn’t love knowing with 100% confidence that you are really hitting every area well – each and every time. The toothbrush and it’s smart brush heads automatically adjusts to the optimal mode and intensity level for your needs too! It features 4 modes and 3 different intensities that allow you to focus on each aspect of your oral health, like plaque control, gum care, and whitening too! You can get healthier gums in 2 weeks* (*vs a manual toothbrush). It also comes with a convenient charging glass! Yes…a cup that charges your toothbrush! No bulking bases or big ugly stands to set on your counter! I LOVE how modern the design and styling is too! Philips Sonicare is the number 1 Dental Professional recommended brand, for a reason! I ordered mine from Amazon, which I love because of quick and easy shipping, and I love all of the different color options to pick from too! You can hover over the above image to purchase your own online too! Once, I saw how awesome this little baby was, I knew it would make the perfect gift. 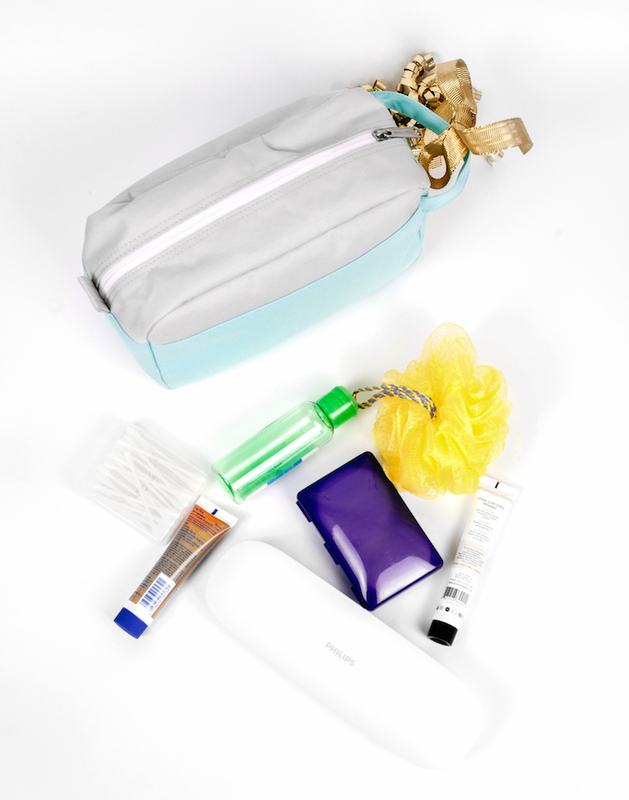 But, since it’s so easy to charge and comes with a really handy travel case, I know it was the perfect product to feature in this travel themed holiday gift idea, but I decided to pair mine up in a cute way with a few other travel themed products too! Instead of using a traditional box of gift bag, I picked out a cute toiletry bag to use as my “gift basket”. Not only is it a fun way to package a gift, but the recipient can actually use it for traveling too! I filled my toiletry bag with the Philips Sonicare DiamondClean Toothbrush, a travel sized loofah, small containers to fill with favorite products, cotton swabs, cotton rounds, travel sized bottles of items like lotion, sunscreen, shampoo, conditioner, and perfume or cologne would be great too. 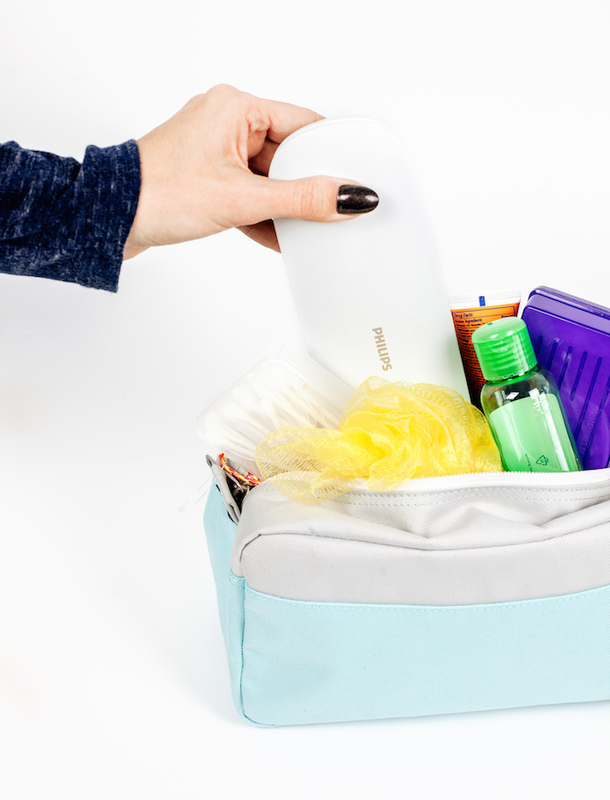 Fill the toiletry bag with all of the items, but leave a few sticking out of the top too, for a fun little peek! 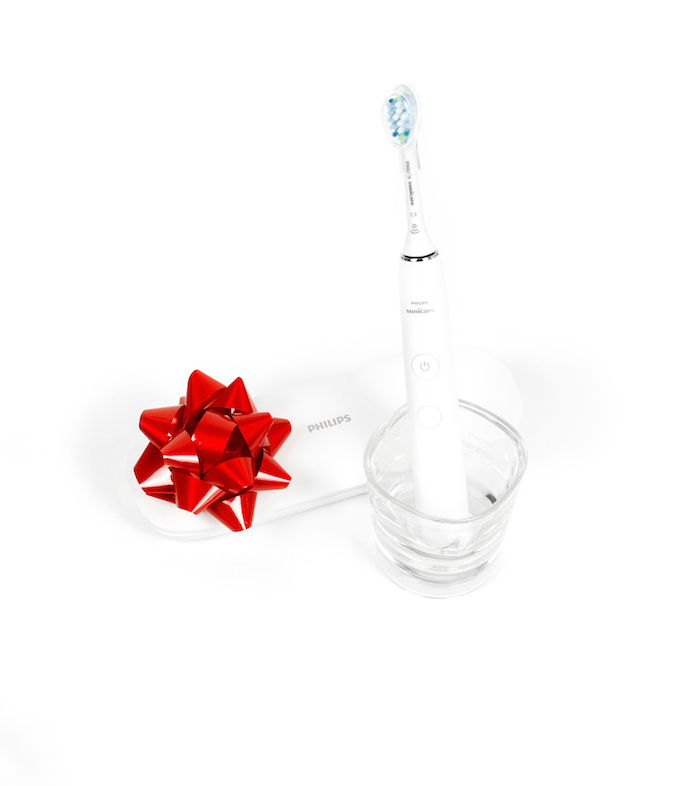 You can find out more about the Philips Sonicare Toothbrush here and purchase your own here! This travel themed holiday gift idea is really easy to put together and something that a well traveled friend or family member would really appreciate too!